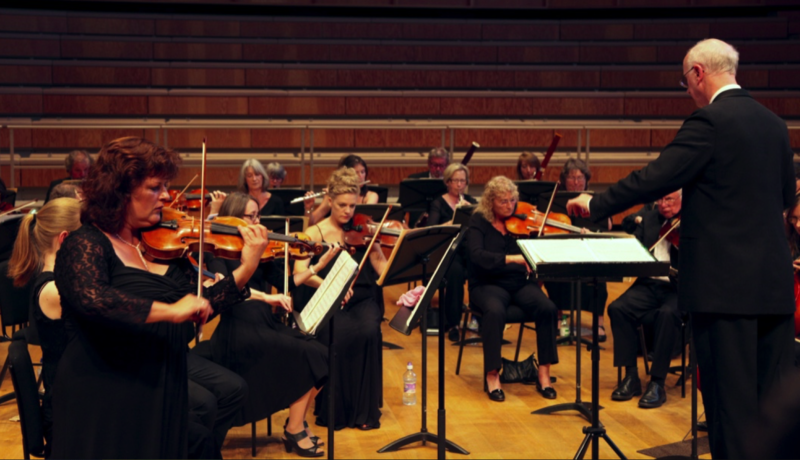 The Spring Concert of the Canterbury Orchestra took place in the Anselm Hall of the Canterbury Christ Church University to a packed audience. The conductor, Andrew Lowen, had chosen music by Prokofiev and Poulenc to mark the anniversaries of their deaths 60 and 50 years ago. Mozart's Haffner Symphony crowned the programme and, as Lowen's programme notes pointed out, there are marked similarities between this and Prokofiev's Classical Symphony which both employ passage work using very rapid scales and arpeggios. The strings in particular navigated these brilliantly. Prokofiev's Peter and the Wolf appeared technically easier to play and the narration by Bill Jones was clarity personified. I particularly enjoyed the wind and brass interventions. The unusual item came after the interval. Poulenc's Sonata for Flute and Piano is one of the most frequently performed pieces in the flute repertoire. Lennox Berkeley was commissioned by James Galway to orchestrate the piano part and, as his own Divertimento for orchestra shows, he was a master in this field. On the whole the Orchestra managed to achieve a balance which allowed the excellent soloist, Janet McDonald to be clearly heard. The gains in warmth and colour achieved by the orchestration were somewhat offest by the loss of the piano's subtler qualities of phrasing and pedalling, but full marks for enterprise! The next concert is in the new Colyer-Fergusson Hall at the University of Kent on 6th July and we can look forward to the Elgar Cello Concerto and Dvorak's New World Symphony.